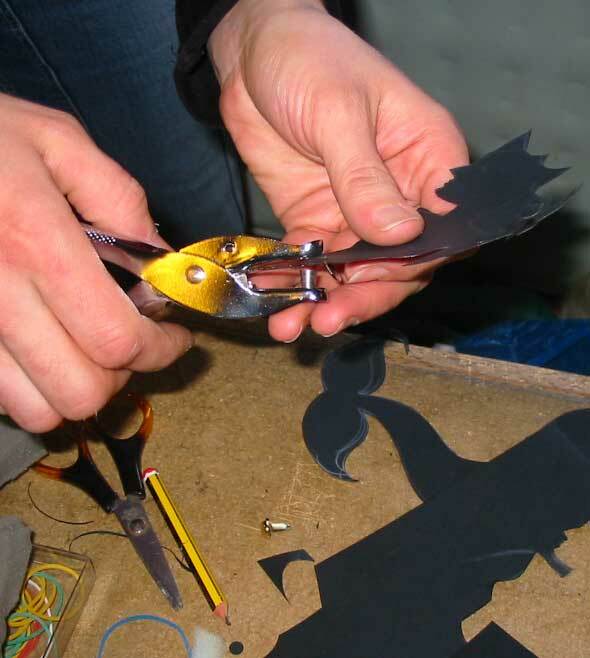 To provide ideas and build confidence in the construction and manipulation of simple puppets which can also be made and used by children. For teachers, play leaders, early years, health and family care workers; we can plan together the training suitable for your event or the needs of a specific group. You may want an introductory session consisting of a talk/demonstation with some hands on or a full day course in more depth, perhaps focussing on a particular aspect of puppetry. What is a puppet and what are they made from? 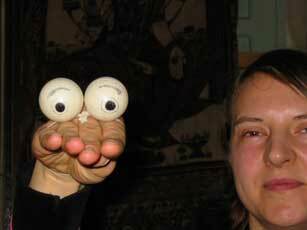 Understanding the main puppetry techniques - glove, rod, string and shadow. How to control, manipulate, give character and life to a puppet. 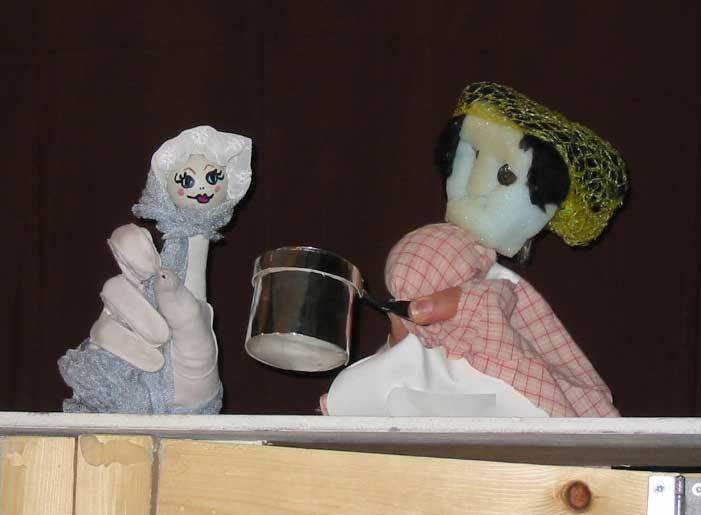 Performance techniques, puppet exercises and games to aid puppetry skills and to use with children. 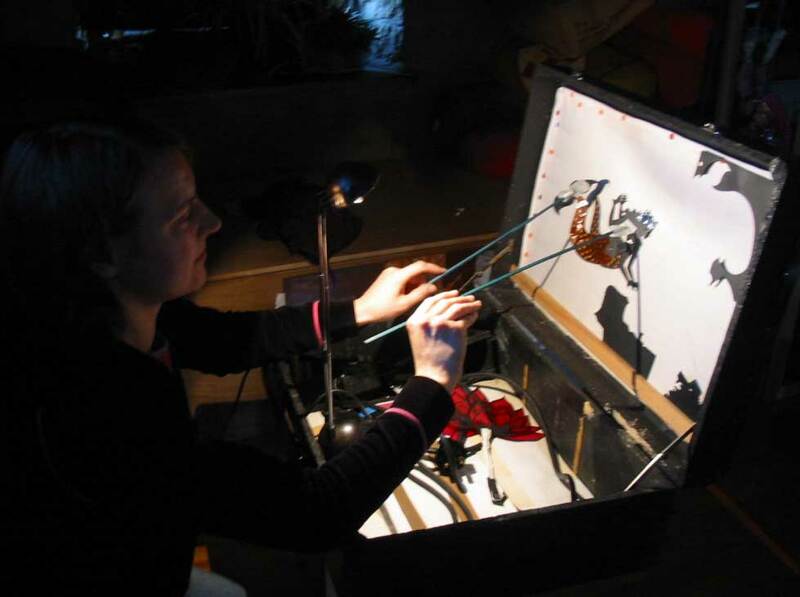 Puppet theatre staging and suitability for different situations. 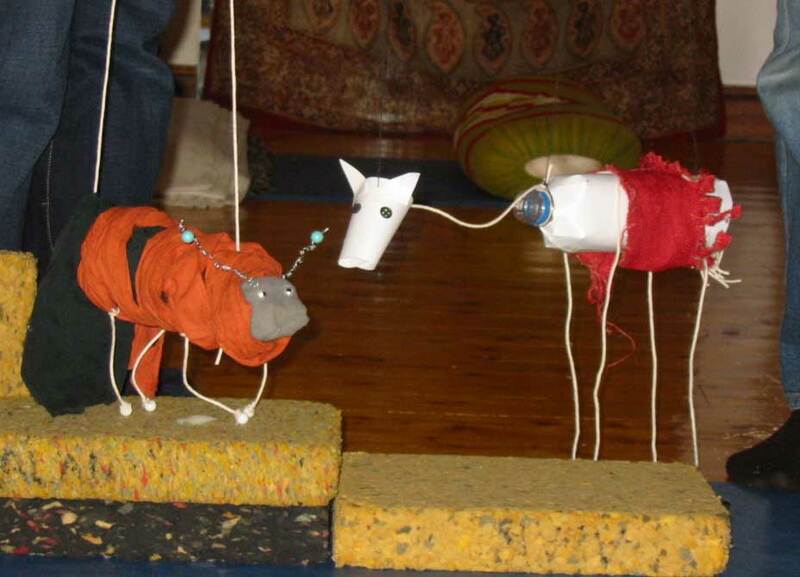 Where to find resources and information on puppetry. All workshop materials are provided as well as hand outs on course content and resources including useful contact addresses. Diana has been a puppetry trainer and drama practitioner for over 20 years in education, theatres and for community and health organisations. She has run courses for The West Yorkshire Playhouse, Eureka Children’s Museum, Family Service Units, health organisations and many school inset days.